Supercar looks with huge power and gorgeous sound. Incredibly rewarding when driven hard. Rarer than rivals. Cabin quality could be better. Jarring ride quality. Lacks steering feel and lacks the sparkle of the Audi R8. You can’t really talk about the Mercedes-AMG GT without mentioning its lineage. 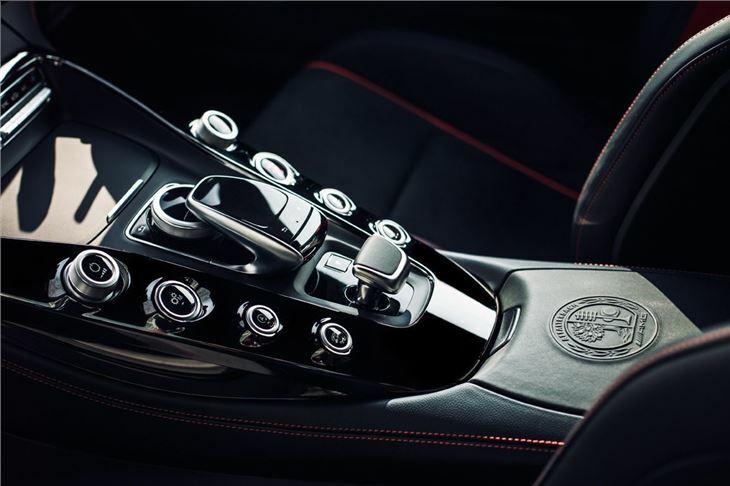 While technically a standalone model with no direct predecessor, it is inexorably linked to the 2010 Mercedes-Benz SLS AMG and, before that, the 2003 Mercedes-Benz SLR McLaren. Both those forerunners were two-seat super-sports cars with bona fide supercar pretentions, to a greater or lesser extent. 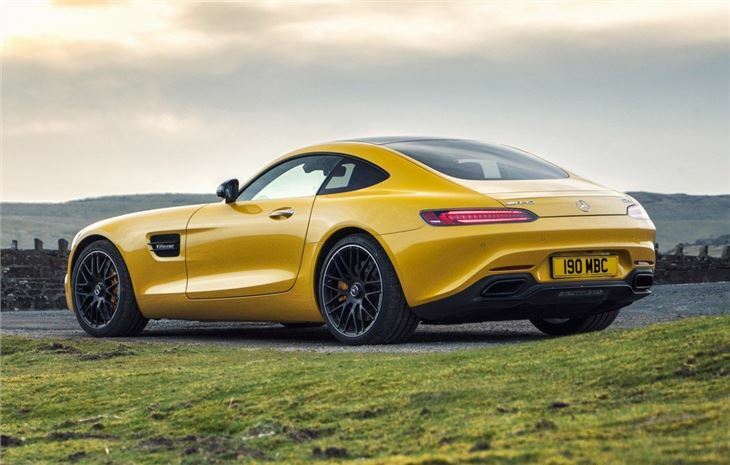 So while the AMG GT arguably does the same thing, it does so at a much lower price point than both. 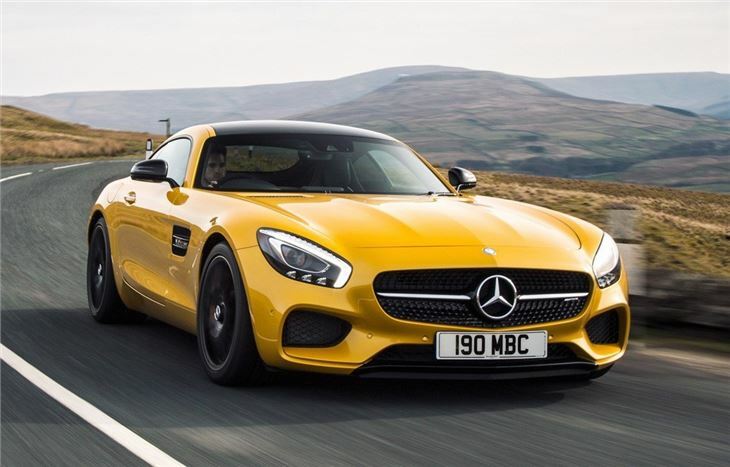 In fact, because the AMG GT is priced from the £100,000 mark, it operates in a fairly unusual space alongside top end versions of the Jaguar F-Type and Porsche 911. It does so while feeling more rare than both and, arguably, that bit more special. That’s down largely to its dramatic looks. Sadly, it doesn’t have the ‘gullwing’ doors of the SLC, but the design nonetheless combines some classic supercar tropes. Very low, wide, cartoonishly long bonnet and the cabin placed at the extreme rear. It’s all slightly phallic, to be honest. Sadly the drama doesn’t quite continue in the cabin. 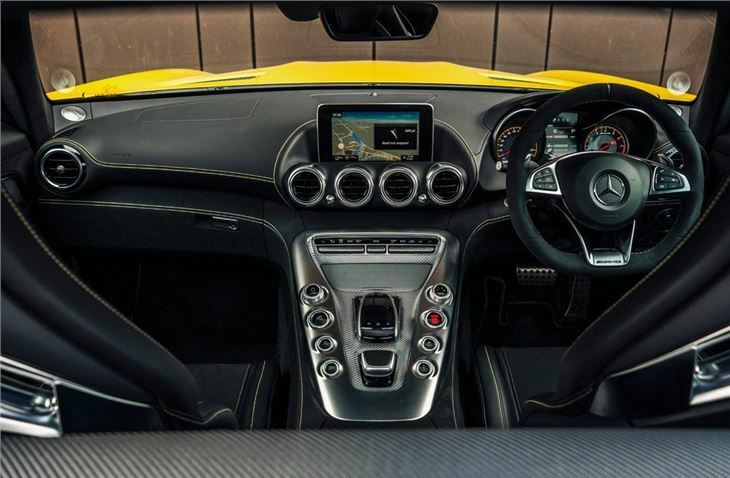 The AMG GT has one of those interiors that photographs well but is altogether less exotic when felt and experienced. But that matters less once you’ve fired the engine up. Whether you’re in the standard 476PS version, the 522PS GT S or the 585PS GT R, the engine is at the heart of the AMG GT experience. A hand-built 4.0-litre V8 with two turbochargers, it reaches a ‘mere’ ,000rpm but does so in utterly unrelenting fashion, getting to 62mph in four seconds and onto 189mph for when you're on der Autobahn. 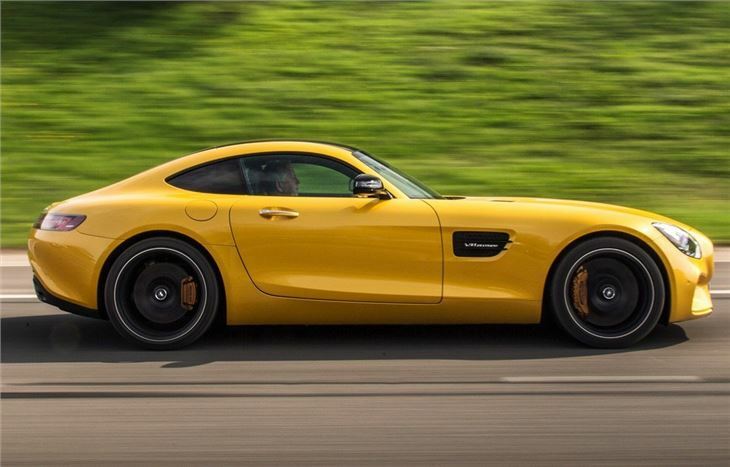 This is what makes the AMG GT special, combined with the looks. And if that’s enough for you - and you don’t want to be another member of the ubiquitous Porsche 911 gang - the AMG GT will not disappoint. Particularly if you’re en exhibitionist – few cars attract as much roadside attention. However, the AMG can fall short in the driving enjoyment department for a couple of key reasons, while we’ve also failed to mention the main reason you might want to overlook this car: the Audi R8. 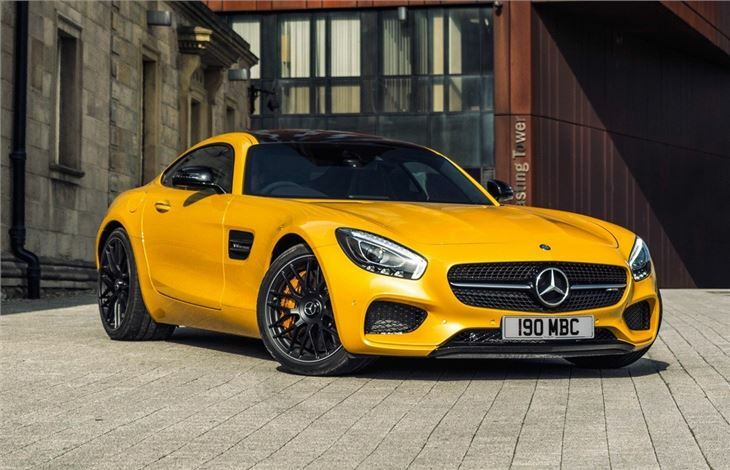 Add a few options to your AMG GT (or go for the R model) and you have a car squarely in the Audi’s territory. And, frankly, Audi’s super-coupe is better in almost every way. There’s also the arguably more exotic (albeit more expensive) Honda NSX to consider, the more futuristic and no less dramatic BMW i8, the much quicker Nissan GT-R, and a low end McLaren or two – ‘low’ being relative, of course. 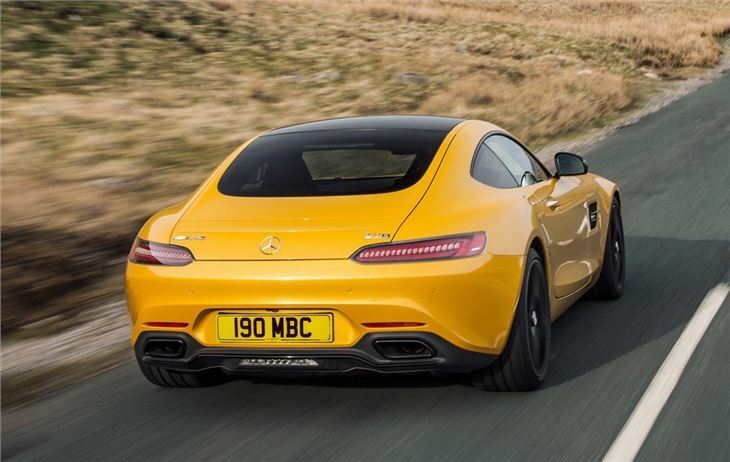 All things considered, while the AMG GT is an excellent car, there are just too many reasons to overlook it.